There’s a lot you can do to manage diabetes while pregnant. Diabetes doesn’t prevent a woman from having a healthy baby, in and of itself. Some women even develop diabetes during pregnancy, called gestational diabetes. This occurs when pregnancy hormones block the action of insulin, leading to insulin resistance and high blood sugar. There are challenges that diabetes presents during pregnancy, but there are sound strategies for helping overcome them. If you are thinking of having a baby, talk to your doctor. Your doctor can help you understand the effects diabetes has on your body and help you plan for pregnancy. There are a variety of things to consider both before and during pregnancy including managing your blood sugar levels and changing the frequency of your blood sugar checks. 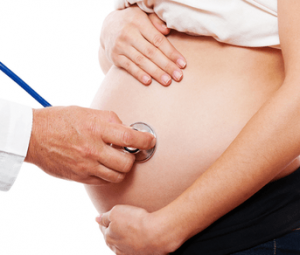 During pregnancy, your doctor will see you frequently in order to ensure your management plan is effective. Frequent visits will allow your doctor to catch any problems and prevent them before they can harm you or your baby. Part of planning for your pregnancy will be creating a meal plan of healthy and nutritious foods to eat. The meal plan will help you make sure you are eating everything your baby needs while also helping you control your blood sugar levels. Exercise is another way to keep blood sugar under control. Check with your doctor to see what activities would be best for you and then exercise regularly before, during and after pregnancy. This can include walking, swimming or actively playing with children. You should aim to get 30 minutes of moderate-intensity physical activity at least five days a week. If your doctor has you taking diabetes pills or insulin, make sure to take them as directed in order to help keep your blood sugar under control. Keeping blood sugar well controlled can lead to a chance of low blood sugar at times. If you are taking diabetes pills or insulin, it’s helpful to have a source of quick sugar, such as hard candy, glucose tablets or gel, on hand at all times. It’s also good to teach family members, close co-workers and friends how to help in case of a severe low blood sugar reaction. Because pregnancy causes the body’s need for energy to change, blood sugar levels can change very quickly. Check your blood sugar often, as directed by your doctor. Your doctor can also help you adjust your food intake, exercise and insulin, depending on the results of your blood sugar tests. Your doctor can help you connect with more resources and information to properly manage your diabetes. If you would like more information or want to talk to one of our doctors about managing diabetes while pregnant, please contact us at our Eugene or Springfield location.